I hadn't planned on returning till next week, but two things happened in the last 24 hours. One was that three women who had been missing for 10 years were found alive in a house in Cleveland. Amanda Berry, Gina DeJesus and Michelle Knight. At the time of their abductions they ranged in age between 14 to 20. 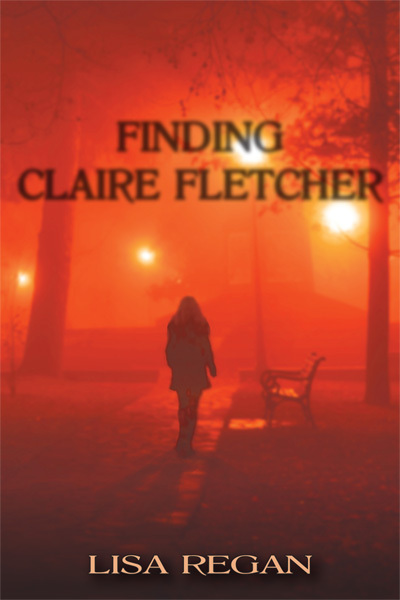 The similarities to my debut novel, Finding Claire Fletcher were, to say the least, chilling. I started receiving countless messages from friends, family and readers about this news story and how eerily similar this real life story is to my book. We have almost no details as to what happened to these women at this point, but I will say that I'm so happy they've been freed and I will be praying for them for a very long time, that they are able to effect some kind of recovery from all the trauma they must have endured and go on to live happy, fulfilling lives basking in the love of the friends and family they've been reunited with. I'm heartened that their families will finally have answers after a decade of wondering what happened to them and hoping that they were still alive, in spite of the high probability that they were not. I wish that more missing children and adults would be reunited. If you know me at all, then you know that cases like these hit close to home for me--otherwise I wouldn't have written a whole book about this very subject. Second, on a more buoyant, less grave note, I discovered today that Finding Claire Fletcher has been nominated for the eFestival of Words Best of the Independent eBook Awards in not just one, but THREE categories! Pretty amazing stuff. I can't tell you how much this means to me and how excited I am. To think that my little book--the one that took me six years to get published--has been nominated for an award? That is crazy! It is the best kind of craziness! I'm so flattered and humbled that someone considered my book good enough to nominate for these awards. Words actually fail me right now. I just want to say to the person or people who put Finding Claire Fletcher down as a nominee for these categories: thank you from the bottom of my heart. Truly. This business is so incredibly hard, so when something like this happens, it really puts you on Cloud 9! Finally, if you look up at the tabs along this blog you'll see one for The Aberration Blog Hop: Finding the Most Aberrant Characters June 6-7, 2013. That will stay up until after the hop and people can sign up there. For the release of my next book, I'm hosting a blog HOP instead of doing a blog tour. I think it will be way more fun. What to do: All you have to do is list your top 5 choices for the most aberrant characters in fiction, television or movies. Also, if you're a writer, you can then include a short paragraph about who you think is the most aberrant character from your own work. Where do I sign up? Below! I'd also ask that you use the lovely blog hop button you see here which the incomparable Carrie Butler designed for me. Please feel free to spread the word on your own blogs! Winners will be chosen at random and announced on June 10, 2013. You can check out the book and put it on your TBR on Goodreads here! 1. I thought of FCF first thing, too. I'm so glad they were found. Wow, that is eerie. Terrible someone could do that to another human being. And I'll have to check my calendar. I signed up for a blogfest that week but don't remember when it occurs. Congratulations on the good news, and I hope you win! Second, yes to the blog hop. Third--I am thrilled those women were able to finally escape. Sad that it took so long, sad that this sort of thing happens, dumbfounded that they could be kept hidden so long. Yep, I thought of your novel as soon as I read that story. So eerie and creepy that those women were held there like that for so long. And big congrats on the nominations. Outstanding! I've been out of town, as you know, and so a bit out of touch, but when I heard that story, I immediately thought of you. Such a terrible thing & I pray those women heal well, but stories like this must give hope to the families of all missing children. As for your nominations, all I can say is, there's no one, NO ONE, who deserves this more. Saying I'm proud of you sounds too trite, but I am. I'm proud. But I am in no way surprised. I've always known of your superior skill & talent. And now, the whole world will soon know, too. (((Hugs))) and cheers to you, my wonderful friend! On "Claire" in real life...I heard on the news this morning there were chains and ropes found in the house and an RIP on the wall with a girl's name. Eerie similarities! Congrats on the award. You so deserve it!! Congrats on the award, Lisa! Wow. Just...wow. Guess you haven't read Lisa's book if this is how you judge them. That's pretty sad. No, Nancy, I haven't read Lisa's book yet - it's on my TBR list for this summer. I look forward to being enlightened. But apparently my wording was offensive to you so let me clarify. Time and again we see in the news that a certain kind of man - the horrible, psychotic, misogynistic man - is able to demoralize, manipulate and dehumanize his female victims. They are never men. So my question was - what is it that these men see in women that they can so easily manipulate? Is it powerlessness? Fear for their families? What? It must be something because they generally don't choose men or boys to victimize. I'd love to know the answer. That's all I meant - it wasn't meant as a commentary on the women who escaped but as a general question about the female psyche, myself included. Sorry that I wasn't clear and so sorry to offend you with my ignorance. It did very much come off as a commentary on the victims which was exceptionally offensive. As for it being some kind of an anomaly among females, look up Steven Stayner, who was kidnapped & held for 17 years by Kenneth Parnell, who also kidnapped Timmy White. Then there's the story of Shawn Hornbeck, who was kidnapped by Michael Devlin & held for 4-1/2 years. Devlin also nabbed Ben Ownby. And these are just 2 examples of cases we KNOW about. A predator is a predator. His victim is only determined by his taste & a moment of convenience & vulnerability. All signed up and can't wait for the release of Aberration! And huge congrats on your nominations, they are so totally deserved!